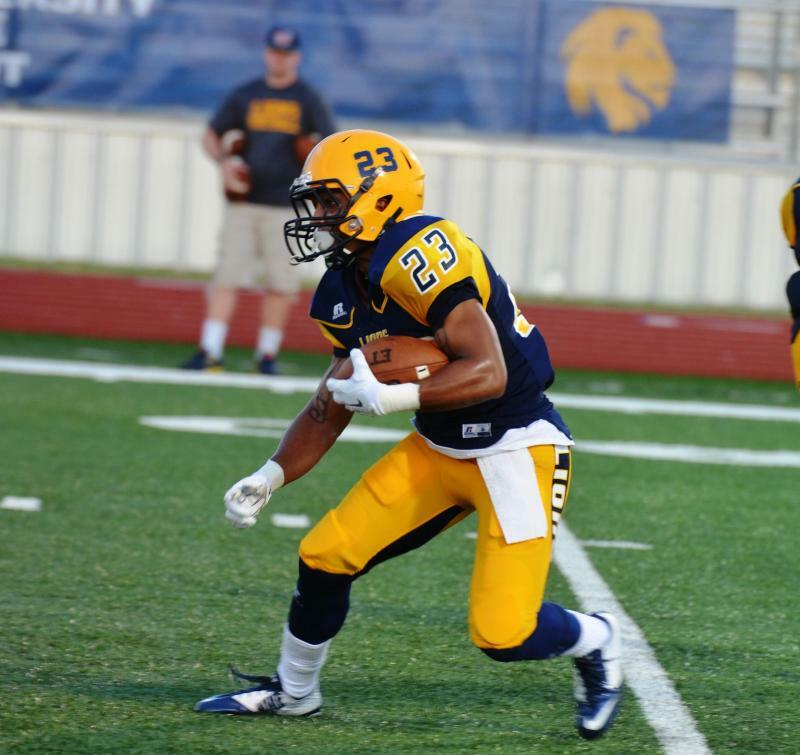 Sophomore Richard Cooper, shown here during the Lions' 98-20 victory over East Texas Baptist, is expected to start at running back against Angelo State. The Texas A&M University-Commerce football team has a tough assignment tonight in San Angelo. The Lions (4-1, 3-0 in the Lone Star Conference) kick off against Angelo State (3-1, 2-1 in the LSC) at 7 p.m. in a game that will be heard on KETR. The game will feature two of the three most highly regarded teams in the Lone Star Conference. Midwestern State (3-1, 2-1) is ranked no. 25 in the current American Football Coaches Association Division II Top 25 poll. A&M-Commerce and Angelo State aren’t ranked, but both teams received votes in the poll. The Lions are unofficially 26th in the nation, while the Rams finished 32nd in the voting. Last week, Angelo State upset Midwestern State 45-31 at Wichita Falls. Midwestern State will try to rebound tonight at West Texas A&M (3-2, 2-1 in the LSC). The Lions will be without the services of starting running back Joe Bergeron. Bergeron, a senior, has been suspended pending an investigation of an unspecified violation of team policy. Sophomore running back Richard Cooper will likely get most of the carries for the Lions. Cooper ranks 10th in the LSC in rushing yardage (32-218, 4 TD). It’s unknown whether A&M-Commerce starting quarterback Tyrik Rollison will be in action for the Lions tonight. Rollison, a senior, missed the 53-25 home victory over Tarleton State on Oct. 4. Rollison presented concussion symptoms resulting from a hard hit during the Lions’ 48-32 defeat of Eastern New Mexico on Sept. 27 at Blackwater Draw, N.M.
Last week, senior Deric Davis had an outstanding effort in relief of Rollison. Davis threw for 324 yards and two touchdowns. The Lions’ passing conference ranks first in the Lone Star Conference with an average of 370 yards per game, with much of that involving senior wide receivers Ricky Collins (28-481-6) and Vernon Johnson (31-387-3). Despite having had a strong start to the season, Angelo State ranks last in the LSC in passing defense, with an average of 303 yards yielded per game. On offense, the Rams are led by quarterback Kyle Washington (83-120-1000), whose 69 percent completion percentage leads LSC signal-callers. Washington also leads the LSC in rushing yards per carry among runners with at least 10 touches per game (49-373, 7.6 avg). The 6-5, 210 sophomore has run for three touchdowns and thrown for nine. The Lions will continue the toughest part of their schedule over the rest of October. A&M-Commerce will host West Texas A&M on Oct. 18 and play at Midwestern State on Oct. 25. The Lions will conclude the regular season on Nov. 1 with a homecoming game against McMurry. - The Lions enter the game at 282-208-12 in 502 LSC games. - The Lions have defeated the co-defending LSC champions for the second consecutive week handing Tarleton State a 53-25 on Oct. 4 after defeating ENMU 48-32 on Sept. 27. - In the latest Massey computer ratings the Lions are ranked 17th ... However, the Lions haven't been able to crack the top 25 in the AFCA Coaches' Poll ... A&M-Commerce is receiving 40 points - nine points from breaking into the top 25. - A&M-Commerce is 3-0 in LSC play for the first time since starting the 1990 LSC schedule 3-0 with wins over Central Oklahoma, Texas A&M-Kingsville and West Texas A&M ... The Lions went undefeated in LSC play with a perfect 7-0 record that season. - The Lions are currently ranked first in blocked punts and team tackles for a loss, second in scoring offense, third in passing efficiency, fifth in passing offense and 10th in total offense at the NCAA DII level ... Individually, Davarus Shores, who blocked a punt against TSU, is ranked third in blocked kicks ... Charles Woods is ranked 23rd in tackles for a loss and 24th in tackles ... Toni Pulu ranks fifth in tackles for loss, while Tyrik Rollison is ranked sixth in passing yards per game. - The Lions are averaging 54.2 points per game, which would shatter the previous school record of 36.2 ppg set in 1990. - In the win over ETBU, the Lions shattered NCAA, LSC and school records ... The 986 yards of total offense set a new NCAA record. - Following the ETBU game, the Lions were featured on ESPN's SportsCenter, College GameDay, NBC Sports, Fox Sports1 and numerous local and regional news outlets. - The Lions experienced the biggest turnaround by a collegiate team in the state of Texas after their 7-5 season in 2013. - The Lions are the only team with one or more preseason All-Americans in Vernon Johnson and Charlie Tuaau. - The two teams meet for the 44th time Saturday with Angelo State holding a 26-15-2 advantage in the series including wins in the last five meetings. - In road contest A&M-Commerce is 5-14-1 ... The Lions last road win came in 2006, a 17-9 victory ... Since then, the Lions have dropped two straight road games to the Rams. - The Rams edged out a 25-20 win in Memorial Stadium in 2013... ASU scored with 1:30 left in the game to earn the win. - The last two games have been decided by five points or less ... In 2012, ASU won 17-16 with the Rams scoring late again to claim the win. 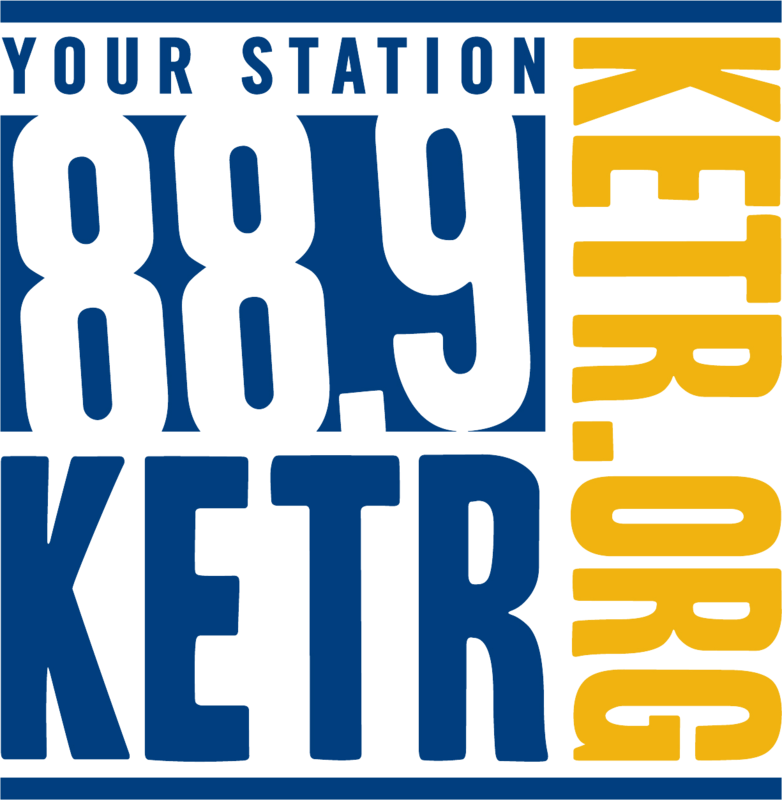 - Linking the two programs is Lion head coach Colby Carthel, who played LB for the Rams from 1996-99 ... Carthel is credited with three career kick returns and one interception from available records. - The Rams enter the game after a 45-31 upset win over No. 16 ranked Midwestern State ... co-LSC Preseason Offensive Player of the Year, Kyle Washington accounted for 419 yards of total offense and four TDs in the win. - Angelo State is in a two-way tie for second place in the LSC at 3-1 overall and 2-1 in LSC play ... The Rams lone loss, 58-41,came against West Texas A&M on Sept. 27 at home ... In that contest ASU led 35-21 at the half, but were outscored 37-6 in the second half. - Washington leads the Rams averaging 93.3 yards per game on the ground ... He has completed 83 of his 120 passes for 1,000 yards and nine TDs, but has also tossed four INTs ... Dakaral Peclkonis leads the team averaging 65.5 yards per game receiving ... Rush Seaver leads the Rams defense with 56 total tackles including 4.5 tackles for loss.